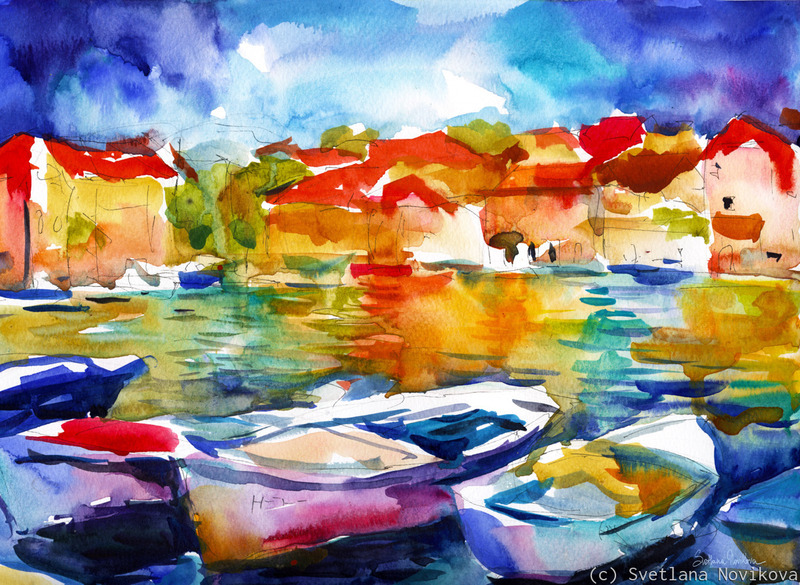 Colorful watercolor of European port boats by Svetlana Novikova, all rights reserved. Original is currently available. Please note, colors on the original look slightly different then colors on the monitor. 5" x 6.75"9" x 12.25"13" x 17.75"17" x 23.25"21" x 28.75"25.25" x 34.5"